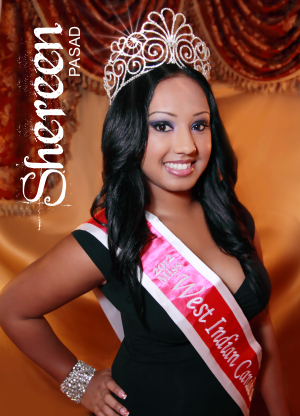 Q&A with the 2012 Miss West Indian Canadian of Guyanese and Trinidadian decent born on September 7, 1988. Having accomplished so much and being the eldest in her family with 4 siblings, she’s definitely their #1 role model. After winning the pageant, I’ve noticed a significant increase in my confidence. I am even more proud of who I have become since winning the pageant. I never imagined that I would ever win a pageant much less the Miss West Indian Canadian pageant. It was an experience that my family and I will never forget. The one thing that has impacted my life the most is when I was asked “How does it feel to be considered a role model to other girls in the West Indian community?”. Only then, I became aware that I just wasn’t a role model to my little sister but also to many more young girls within our community. I am privileged to be called a “role model”. My ambition has always been to take my dancing talent to the next level and open my own Dance School. Dancing has been a major part of my life for as long as I can remember. Winning the pageant has created many great opportunities. I utilized some of these opportunities to promote my dance school. I did not expect my Dance School to be this successful in such a short period of time. The Wi Canadian family has assisted me in making one of my dreams come true. In my opinion, a pageant should not be considered a “beauty contest”. It was an opportunity for me to showcase my talent and confidence. The importance of a pageant queen is to recognize the hard work that the other contestants put into the pageant and take responsibility as a role model for others. Prior to winning the pageant, I had an average involvement in the West Indian community however after winning the pageant, I have had the opportunity to be more involved in our community by attending charity and political events etc. Winning the pageant also gave me the opportunity to meet a lot of new and interesting people but most importantly I have more respect for the members of the West Indian community who put their time and efforts to keep us together. I was honoured to meet the 2012 contestants. I did not feel as if we were competing against each other, it felt as if we were a bunch of teenagers just relaxing every Sunday. Our rehearsals were always energetic and fun and there was never a dull moment. The day of the pageant was a bit stressful but I was very proud to see how calm, collective, and supportive the girls were. We all did an amazing job and I’m happy to have met all of them. Do you have any inspirational quotes or sayings that are sincere to you and why? One thing that I have always reminded myself of is that “everything happens for a reason”. Whenever an obstacle is thrown my way, I always hold my head high and remind myself that “everything happens for a reason”. I am able to overcome any obstacles thrown my way because of this statement. Be yourself! Enjoy every moment! It will be an experience that you will never forget. Although it’s a competition, be supportive of the other girls because it’s an opportunity to create lasting friendships.